I continue to work with student teachers and teachers in and out of the classroom with my ‘Project Van Go’ (taking art to rural schools) and working on art projects inside of many classrooms as a teaching artist. My mantra remains: “teachers who are passionate and engaging, who hold students to high, but realistic standards, have earned RESPECT for what they do.” I feel that teachers are courageous heroes and advocates for our respect and support from the Governor to the State Legislature, by helping to defeat legislation that undermines the educational system, demoralizes teachers and leaves struggling schools at the bottom of the educational totem. I believe that the best thing for students is putting the best teachers in the classroom, because they can overcome nearly all obstacles facing them, but teachers need to be given the tools to successfully teach. I am a vehement advocate for the arts and creativity. I feel there is unnecessary pressure to elevate test scores, thus reducing project-based learning. Teachers stop teaching their passions. Creation achieves ownership, satisfaction, self-esteem, and PRIDE. I feel that we need to nurture creativity and original thought, use the senses to explore the world, and take education ‘beyond’ classroom walls into the real world of experience. Jennifer Williams, the 2002 Idaho Teacher of the Year, has been a 41 year Art Educator. She earned her BFA in Art Education from Mississippi State University and her Master’s Degree in Art from Boise State University. 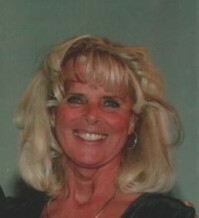 She retired in 2007 after teaching high school art for 32 years. She retired this year, after nearly 35 years as an adjunct professor at Boise State University, George Fox University and the College of Idaho. Jennifer has received numerous state and national awards in her teaching career, including the Governor’s Award in Art Education, US West Teacher of the Year, Boise State’s Distinguished Alumni Award and Women Making History Award, ING’s 1st Place National Unsung Heroes Award, the National Education Associations Teaching Excellence Award, Idaho’s Art Teacher of the year 4x and was the 2002 IDAHO TEACHER OF THE YEAR. Jennifer is a published artist, having written 2 art textbooks, many articles and a children’s book. She has taken art to tiny one room school houses for over 36 years with her ‘Project Van Go’. Jennifer is also a Teaching Artist for the Idaho Commission on the Arts. Her greatest work, she says, is that of mother to four amazing children, all college graduates with advanced degrees. Her husband, Kirk, has been a teacher for 41 years also. In her free time, Jennifer rehabilitates wild and domesticated animals, and writes about those experiences in her children’s books, each with a valuable lesson about life for the young reader. Her greatest inspiration was her mother who passed away a year ago.